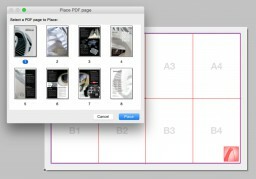 The Organizer is related to and opened from the Navigator Palette. 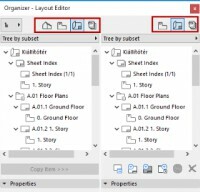 It houses essentially the same controls, but has a double-tree structure to make it easier to move and copy views and layouts from one map to the other. All Walls, Beams and Columns can be slanted to any angle. A slanted wall or column tilts in one direction; its two faces are parallel to each other. 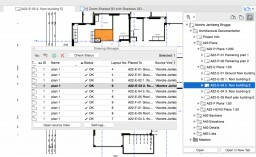 Complex Profiles are predefined as custom defined walls, columns and beams that can be edited by hand to take nearly any desired shape. Like other construction elements, a Profile�™s essential structure derives from its Building Material, although various surface overrides are available on an element‐level basis for profile elements. 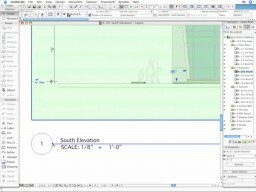 3D Spaces fit to slanted and profiled wall surfaces, but more than this, walls and columns can be subtracted automatically from the 3D Zones when you need to calculate volumes. 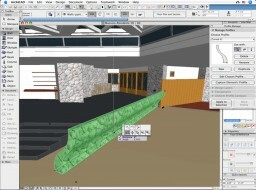 Adobe PDF format is the most widely used documentation type, which can be inserted directly into any ARCHICAD project documentation page-by-page. The quality of graphics is important for architects: polished drawings and presentations are key factors to winning a job. 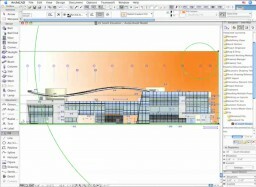 The purpose of Gradient Fills is to enhance architectural graphics; they are available for 2D fills created with the Fill tool (Drafting fills). 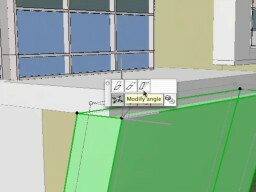 GRAPHISOFT ARCHICAD 10 introduced Guide Lines (now called Snap Guides) to greatly simplify and ease graphic element creation, modifying and other input methods. Snap Guides are temporary lines and arcs that appear along existing elements, to assist accurate element placement. 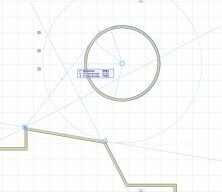 Parametric and associative Drawing Titles can be placed automatically within Drawings. These smart elements can indicate Drawing information: including Drawing ID, Drawing Name and Scale.